Color:Mild colors 12 pens set Color:Mild colors 12 pens set Easy glide, versatile chisel tip is great for highlighting, underlining or writing notes. Color won't fade type or bleed through most paper. 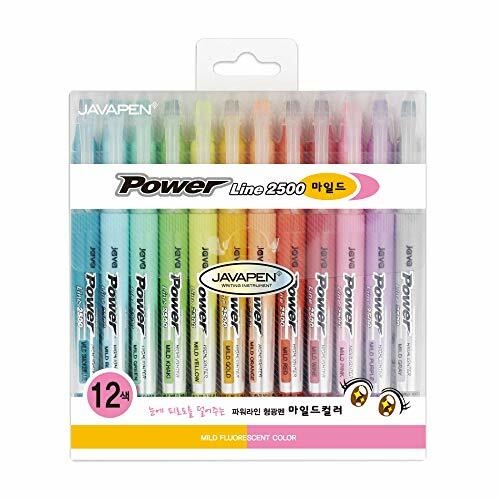 Quick-drying Smearguard ink prevents smears and smudges, even on inkjet printouts, newspaper print and handwritten notes JAVAPEN Highlighters are made in the Korea.